All RMAs are shipped to the customer by U.S. Postal Service, even if the original shipment was by an Express Service (Overnight, 2 Day Air, etc.). This is because Litronic never charges for advanced replacements and a credit card is never verified. This policy is waived if Litronic is at fault and has mis-shipped your order. We will provide an advance replacement and include postage for the return of any defective part(s) if notified within 30 days after the delivery tracking shows receipt of the order. Please call 949-851-1085 for an RMA number. A RMA (Return Merchandise Authorization) number must be obtained before the product is returned to us and must be within the 30 day warranty period. Please call 949-851-1085 to obtain an RMA number. Any product received without a RMA will be returned to the customer. The cost and method of shipping the product back to us is the sole responsibility of the customer. We recommend a track-able form of shipping to guarantee your package arrives to us. If a package is sent without proof of delivery, Litronic is not responsible for proving receipt of the package. 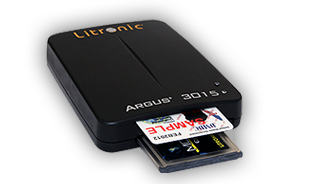 All products come with a one year warranty through Litronic. Warranty replacements must have an RMA issued and be returned to Litronic prior to us sending the replacement. The return cost of insurance and shipping is the sole responsibility of the customer. Litronic will pay for the return shipping of the replacement and chooses the method of delivery.